Alhamdulillahi Rabbi 'l-`Alameen, wa ’s-salaatu wa ’s-salaamu `alaa ashrafi 'l-mursaleena Sayyidina wa Nabiyyina Muhammadin wa `alaa aalihi wa sahbihi ajma`een…. One person came to Prophet (s) and said, “Advise me, yaa Rasoolullah.” He replied, “Ad-deenu naseeha, ad-deenu naseeha, ad-deenu naseeha.” Religion is based on communication between the shaykh and the student, to give him an advice, regardless of whether the student takes it or not, but the shaykh has to give the advice according to Shari`at al-Islam, according to what Prophet (s) came with. We are a group of people who comply with Shari`ah. Because we are weak and helpless, sometimes we don’t know where we make the mistakes! Yes, we believe that there are mistakes from the shaykh and from the mureed, but with good intentions; they didn’t intend to make the mistake, but it happened and still Allah will reward them for that advice as long as it complied with Shari`ah. I want to say that there are two types of followers of a shaykh, and we speak about our shaykh: those who accept his teachings and they are the ones who say ‘yes’ to what he says, and those who are only loving the shaykh. They want his love and are not paying attention to his teachings, but what concerns them is his love. So these two types are struggling, the lovers and the other group that is carrying the responsibility. After many years I felt for myself that it was better, as Mawlana (q) was saying in the last two or three years, with all his great work that he did and brought many people to Islam, in these last two years he was saying, “ I am zero,” and no one understood what was ‘zero.’ It means he doesn’t look at what he has achieved, because that is minna, a favor from Allah (swt). He looks at what he did not achieve, and that is why he cried and said, “I am zero,” because as much as the shaykh reaches realities, still there are far more realities ahead and the shaykh can see that. That is why he sees himself that he did not achieve enough. You are owned by Allah (swt), “lillah,” it doesn’t have the Alif at the beginning, inna lillah, “We are belonging to Allah (swt). He is The Owner. He owns us and to Him we are returning.” So Awliyaullah want to understand that verse of Holy Qur’an: inna lillah, if we belong to Allah and He held us, it means He is dressing us with His Favors, because we belong to Him, and when He says, “We are coming back to Him,” Allah doesn’t like to see His servant return dirty, so He will clean him while he is alive. Inna lillahi wa inna ilayhi raji`oon. We belong to Allah and Allah does not like to keep something that is not clean. He expressed it like that, that everyone on their last seven breaths (Mawlana breathes deeply), only breathing out, no breath coming in, will see Prophet (s). Those seven breaths are seven maqaams, levels; every maqaam is separate, his breath is going out and his soul is going out as a Muslim or mu’min on Islam, and he will see Prophet (s) at that moment, when Prophet (s) intercedes for him and for his Ummah. The goal of Awliyaullah is to save the Ummah as much as they can, but everything is in the hand of Prophet (s): if he (s) releases to them they can do, and if he (s) doesn’t release to them they can’t do. It depends on what Prophet (s) wants. Prophet said, Ad-deenu naseeha, “Religion is advice.” So our advice to ourselves is not to repeat a story that happened two hours ago or before. Grandshaykh (q) always said in his suhbah, “Don’t repeat any story that happened two hours ago.” It means don’t repeat a story of backbiting, fitna or bad rumors! Allah is not happy with those kind of people. If you heard about a problem, keep it to yourself. If you heard fitna, ask the person “who said that?” Don’t give a response quickly or say, “This one is good and that one is not good!” Who are you to judge between the Ummah? Only Allah can judge and Allah will give Intercession to His Prophet (s) and with His permission, Prophet (s) will intercede. We are honored today that we have Shaykh Nurjan here. He did his best for Mawlana Shaykh Nazim (q) when he came to visit America seven times in the 1990’s. He and his family did their best, and we say may Allah (swt) bless his family, his parents and his sister, who did their best for Mawlana Shaykh Nazim (q). At that time, maybe most of you did not yet know Tariqah, most of you were not yet existing, or most of you were not yet aware of what happened in those years. Alhamdulillah we are very happy to have him here, to have all of you here that are showing your happiness and your love to Mawlana Shaykh Nazim (q), to Prophet (s) and to Awliyaullah. May Allah keep us under the ‘wings’ if we can say, of Prophet (s), under his arms, under his love and keep us always with him in dunya and Akhirah, with his blessed family, the Ahlu ‘l-Bayt, who are the owners of Paradises. Allah gave to them, and they will all...as Grandshaykh, may Allah bless his soul, said, “One lady will take into consideration from her father permission for interceding for Ummat an-Nabi (s) and all the ummahs.” Grandshaykh `AbdAllah al-Fa'iz ad-Daghestani (q) said that when Prophet (s) received the order to get his daughter Sayyida Fatima az-Zahra (r) married, he chose Sayyidina `Ali karamallahu wajhu wa `alayhi ‘s-salaam for her. Sayyidina Jibreel (a) came and told Prophet (s) to ask for her condition. On the Day of Judgement, Sayyida Fatima az-Zahra `alayka ‘s-salaam is going to ask first for her dowry. Grandshaykh, may Allah bless his soul, said that Allah accepted her Intercession, so she will take the whole Ummah as her dowry and enter with them to Paradise!  Those who say, “Laa ilaaha illa-Llah,” Grandshaykh (q) said, “The secret of that verse, laa ilaaha illa-Llah Muhammadun Rasoolullah, is a key from Paradise,” and the key of Fatima az-Zahra (r) is that anyone who says, “Laa ilaaha illa-Allah,” will be included in the dowry of Sayyida Fatima az-Zahra (r) and enter Paradise! All of them partake from Allah’s Messenger a handful of his oceans or a sip from his continuous rains. All of us quench our thirst in the ocean of Prophet (s), all Awliyaullah and their followers, and we are followers, we are sheep quenching our thirst from the love of Prophet (s) and our shuyookh. May Allah keep us under their Intercession, under the Intercession of Prophet (s), under the forgiveness of Allah (swt)!